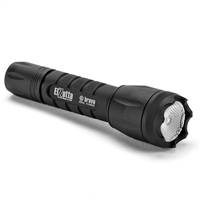 Model B344 spreads 650 lumens in a broad array with a disorienting high-frequency strobe engaged when desired. With the unique user interface, you select the mode with a simple twist of the Tailcap; no multiple clicks required. 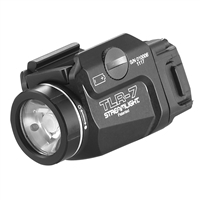 The Flood Lens provides wide uniform lighting and the Crenellated Bezel Ring serves as a self defense tool if needed. See detailed description and technical specifications below.